EPIC Steak is a unique addition to San Francisco’s culinary landscape. Led by acclaimed Executive Chef Parke Ulrich, he is renowned for his elegant treatment of seafood and utilizes similar techniques on meat, creating preparations with a focus on simplicity and flavor. *Located on San Francisco’s scenic waterfront, EPIC features panoramic views of the Bay, Treasure Island and the Bay Bridge. All day – every day! Our Enclosed Piazza is a semi-private room situated next to the bay on the ground floor. This event space has three modulating walls and the fourth is the entryway to the restaurant’s main dining room. There are heat lamps built into the canopy and a fireplace which makes it cozy in the colder weather. The walls can roll up in order to take advantage of San Francisco’s alfresco dining at its best. Breathtaking views combined with innovated cuisine, expertly crafted cocktails and inspirational wines make this unique event space the best patio dining in San Francisco. The Piazza space in its entirety (both covered and uncovered) can be secured for larger receptions up to 150ppl. The Bay Room is located on the second floor and includes its own private terrace. 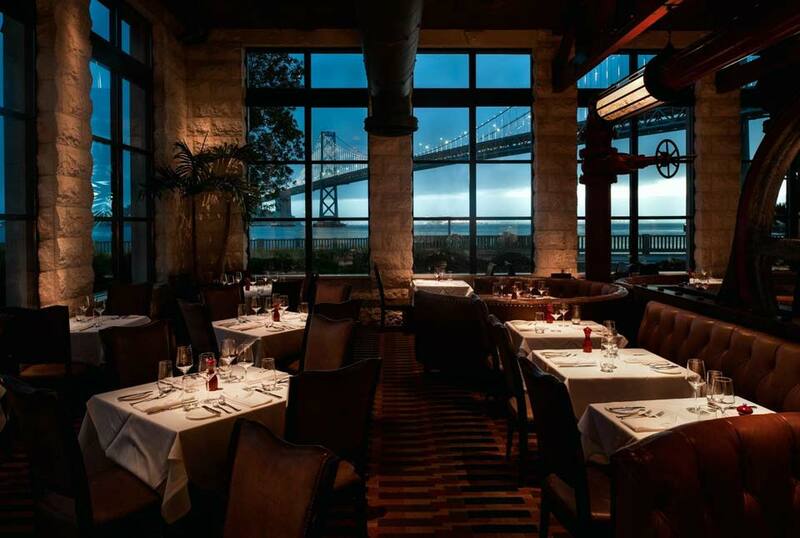 The room is designed in rich colors surrounded by expansive windows which frame a sensational setting of the San Francisco Bay and its magnificent Bay Bridge. The private dining menu which is overseen by Chef Ulrich is seasonally crafted to utilize fresh, sustainable ingredients. SF Giants superstar Hunter Pence loves EPIC so much that he reserved the entire restaurant for his wedding! We can host a full restaurant Buyout or a partial Buyout depending on the size and needs of your event. The top floor, including the Bay Room and Quiver Bar can host a cocktail reception for 175ppl. The main floor, including the Piazza and the Main Dining room can host a seated dinner for up to 130 guests. Combine the two floors and you can accommodate up to 450ppl! 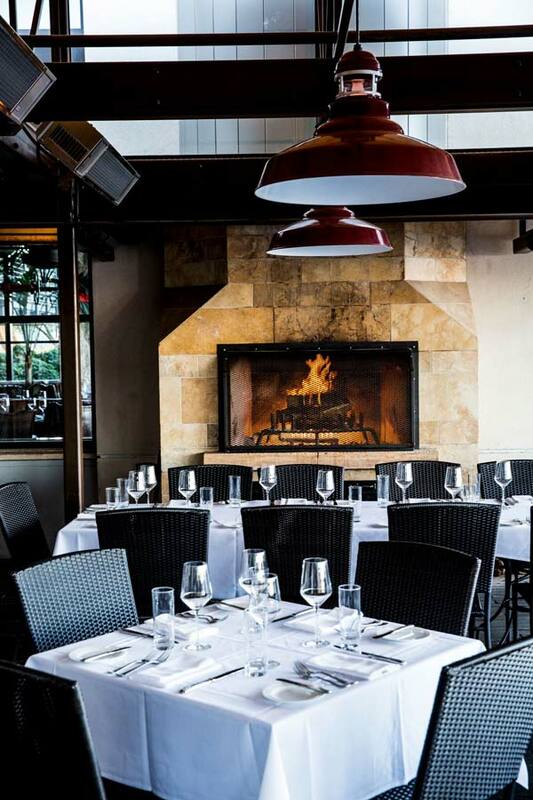 Our spacious restaurant is a perfect destination to host a convention networking event, team dinner, holiday celebration or an intimate wedding.